Rand-Emonium Software has released version 2.6 of the 8-bit Apple // build pipeline for Xcode. The build pipeline still supports AppleSoft BASIC, Merlin assembly and cc65 based projects. Version 2.6 introduces support for cc65 v2.17 along side the existing support for v2.13.3. Easily installed MacOS packages of both versions of cc65 are available. 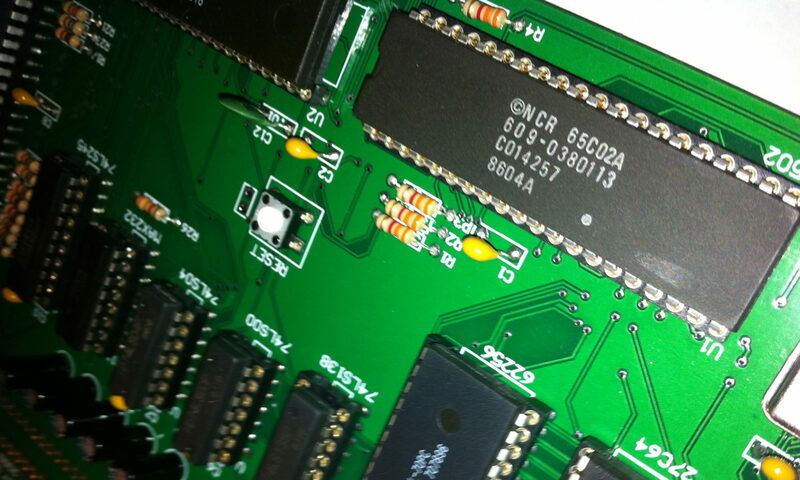 Credit to Kris Kennaway for providing patches for cc65 v2.17 to make this update possible. Rand-Emonium Software has released version 2.5 of the 8-bit Apple // build pipeline for Xcode. Along-side the existing support for C and assembly cc65 based projects and Applesoft BASIC projects, you can create Merlin32 assembly projects. Edit your assembly code in the Xcode editor which provides syntax highlighting and code completion. When you build and run your project, Merlin32 assembles your code and the result is put onto a disk image and launched in the Virtual II emulator. CurtaSim – A simulation of the classic mechanical calculator. Apple2048 – The number sliding and matching game. A2Sudoku – The classic number puzzle game. A2Bejwld – The coloured gem matching game. colourgo – The run, jump and match the colour of the floor game. Copies on 5.25″ diskette with a manual in a stylish ziplock bag are available to attendees of KansasFest 2018. For those unable to attend, you can download your own copy of the disk images and the documentation from the collections page. Rand-Emonium Software has released version 2.1 of the cc65-based Apple // build pipeline for Xcode. Along-side the existing support for C and assembly based projects, you can now create Applesoft BASIC projects. Edit your BASIC code in the Xcode editor which provides syntax highlighting and code completion for Applesoft tokens. When you build and run your project, the BASIC code is tokenized, put onto a disk image and launched in the Virtual II emulator. Rand-Emonium Software is proud to have updated the Apple //gs Build Pipeline to include improved error handling. In the latest version, if the C compiler or the resource compiler reports an error, that error will be visible directly in the Xcode editor. If you select the error, Xcode will show you the line that the compiler considers to contain the error. This website will be the central location for information about my Apple // related projects. Information about updates to my games, utilities and development tools will be published here. If you have any feedback about the website or any of my software, leave me a message or email me at jeremy@rand-family.com.